Provide customized content for you. We are committed to keeping your data confidential. We do not sell, rent, or lease our customer lists to third parties unless compelled to do so by law. Furthermore, we do not store or save any credit card or banking information in our systems. All financial information, including credit card numbers and bank account numbers, is stored in PCI compliant facilities. Automatic Collection: Our Web server automatically recognizes only the visitor’s domain name (not the e-mail address) and records the visitor’s browser and platform type (e.g., Chrome browser on a Apple platform). we retain their e-mail address for the purposes of providing our services to you. Third Party Websites: Some pages on the PayPal website include links to third-party websites. These sites are governed by their own privacy statements, and PayPal is not responsible for their operations, including but not limited to their information practices. Users submitting information to or through these third-party websites should review the privacy statements of these sites before providing them with personally identifiable information. Required Information: To open a PayPal account or use the PayPal Services, you must provide your name, address, phone number, and email address. In order to make payments through the PayPal Services, you must provide credit card, debit card or bank account information. We also ask you to choose two different security questions to answer (such as your city of birth or your pet’s name). Using your device: When you use PayPal Services using any device (whether connected to PayPal wirelessly or by a fixed line or otherwise), we may additionally collect and store device sign-on data (including but not limited to device ID) and geolocation data in order to provide PayPal Services. Photographs: If you use certain functionalities provided by us (including, without limitation, PayPal POS functionality on your mobile app) we may ask you to upload a picture of you in order to provide these specific services. Your face must be recognisable. Your image is solely your responsibility. Loyalty Information: If we allow you to link your membership of an eligible loyalty scheme to your account, we may require you to provide to us your loyalty scheme membership ID. Transaction Information: When you use the PayPal Services to send money to someone else or request money from someone else, we ask you to provide information related to that transaction. This information includes the amount and type of the transaction (purchase of goods, purchase of services, or simple money transfer), other purchase details and the email address, or phone number of the third party. Also, when you send money to another PayPal customer, you may be asked to provide personal details to that customer to complete the transaction. Those details may also be passed on to us from that customer. We also collect the Internet address (IP address) and other identifying information about the computer or device you use to access your PayPal account or use the PayPal Services, in order to help detect possible instances of unauthorised transactions. Information About You From Third Parties: In order to protect all our customers against potential fraud, we verify the information you provide with Payment Processors and/or Credit Reference and Fraud Agencies. In the course of such verification, we receive personally identifiable information about you from such services. In particular, if you register a credit card or debit card or bank account with PayPal, we will use card authorisation and fraud screening services to verify that your bank or card information and address match the information you supplied to PayPal, and that the card has not been reported as lost or stolen. If you send or receive high overall payment volumes through the PayPal Services, or if as a merchant have limited selling history, in some circumstances we will conduct a background check on your business by obtaining information about you and your business, and potentially (if legally permitted) also about your directors, shareholders and partners, from a credit reference or fraud agency. If you owe us money, we may conduct a credit check on you by obtaining additional information about you from a credit reference or fraud agency, to the extent permitted by law. PayPal, at its sole discretion, reserves the right to periodically retrieve and review a business and/or consumer credit report supplied by such credit reference or fraud agency for any account, and reserves the right to close an account based on information obtained during this credit review process. Information About You from Other Sources: We may also collect information about you from other sources, including from members of PayPal’s corporate family, other companies (subject to their privacy policies and applicable law), and from other accounts we have reason to believe you control (whether in part or in whole). Additional Verification: If we cannot verify the information that you provide, or if you request a withdrawal by cheque to an address other than your verified credit card billing address, we may ask you to upload or send us additional information by fax (such as your driving licence, credit card statement, and/or a recent utility bill, or other information linking you to the applicable address), or to answer additional questions online to help verify your information. Website Traffic Information: Because of the way Internet communication standards work, when you arrive at or leave the PayPal website, we automatically receive the web address of the site that you came from or are going to. We also collect information on which pages of our website you visit, IP addresses, the type of browser you use and the times you access our website. Communications: When you communicate with us for customer service or other purposes (e.g., by emails, faxes, phone calls, tweets, etc. ), we retain such information and our responses to you in the records of your account. Questionnaires, Surveys, Sweepstakes and Profile Data: From time to time, we offer optional questionnaires, surveys and sweepstakes to our users for such purposes as collecting demographic information or assessing users’ interests and needs. If we collect personally identifiable information from our users in these questionnaires, surveys, and sweepstakes, the users will be given notice of how the information will be used prior to their participation in the survey, questionnaire or sweepstake. Individuals who are not Registered Users of PayPal Services and Requests: When a registered user of the PayPal Services attempts to engage an individual who is not a registered user of the PayPal Services in a transaction (for instance, by sending a payment or other benefit to, or requesting a payment from that individual), we will retain the information that the registered user of the PayPal Services submits to us, including, for example, the other party’s email address, phone number and/or name. Although this particular information is stored for a certain period of time in compliance with applicable law, we will not use it to market to the non-registered person. Additionally, these persons have the same rights to access and correct information about themselves (assuming that their details were correct) as anyone else who uses the PayPal Services. Questionnaires, Sweepstakes, Surveys and Profile Data: If you choose to answer our optional questionnaires or surveys, we may use such information to improve PayPal Services, send you marketing or advertising information, manage the sweepstakes, or as otherwise explained in detail in the survey itself. We use your email or physical address to confirm your opening of a PayPal account, to send you notice of payments that you send or receive through PayPal (including referral payments described below), to send you information about important changes to our products and services, and to send notices and other disclosures required by law. Generally, users cannot opt out of these communications, but they will be primarily informational in nature rather than promotional. We also use your email address to send you other types of communications that you can control, including “News from PayPal”, auction tips, customer surveys and notice of special third-party promotions. You can choose whether to receive some, all or none of these communications when you complete the registration process, or at any time thereafter, by logging in to your account on the PayPal website, selecting My Account, Profile, then My account settings, and updating your Communication preferences. We may communicate with you as described above by SMS (and SMS will be treated as an email for the purpose of managing your Communication Preferences). We may combine your information with information we collect from other companies and use it to improve and personalise the PayPal Services. If you don’t wish to receive marketing communications from us or participate in our ad-customisation programmes, simply log in to your account, select My Account, Profile, then Notification settings and update your Communication preferences, or follow the directions provided with the communication or advertisement. If you are a registered PayPal user, your name, email address, phone number (if applicable) date of sign-up, the number of payments you have received from verified PayPal users, and whether you have been verified to have control of a bank account are made available to other PayPal customers whom you have paid or senders who are attempting to pay you using the PayPal Services. If you are a Business account holder, we will also display to other PayPal customers the website address (URL) and customer service contact information that you provide us. In addition, this and other information may also be shared with third parties when you use these third parties to access the PayPal Services. However, your credit card number, bank account and other financial information will not be revealed to anyone whom you have paid or who has paid you through the PayPal Services or third parties that use the PayPal Services, except with your express permission or if we are required to do so pursuant to credit card rules, a court order or other legal process. If you are using your mobile app, we may share your picture that you have stored with your mobile app with other PayPal users so that they can identify you. You license us to use your image for the above purposes on a non-exclusive, worldwide, royalty-free, transferable and sub-licensable basis. We may also share with other users the fact that you are within local reach as a customer. If you do not want this information to be shared, you can access, view and control the settings for any such data on your mobile device. If you open a PayPal account directly on a third-party website or via a third party application, any information that you enter on that website or application (and not directly through the PayPal Services) will be shared with the owner of such third party website or application and your information may be subject to their privacy policies. Just like most banks or financial/payment service providers, PayPal works with third-party service providers which provide important functions to us that allow us to be an easier, faster, and safer way to make payments, and other business partners. We need to disclose user data to them from time to time so that the services can be performed. In order to provide the PayPal Services, certain of the information we collect (as set out in section 2) may be required to be transferred to other PayPal group entities or other entities, including those referred to in section 6 in their capacity as payment providers, payment processors or account holders (or similar capacities). You acknowledge that according to their local legislation, such entities may be subject to laws, regulations, inquiries, investigations, or orders which may require the disclosure of information to the relevant authorities of the relevant country. Your use of the PayPal Services constitutes your consent to our transfer of such information to provide you the PayPal Services. Third Party Sites: If you open a PayPal account directly on a third party website or via a third party application, any information that you enter on that website or application (and not directly on a PayPal website) will be shared with the owner of the third party website or application. These sites are governed by their own privacy policies and you are encouraged to review their privacy policies before providing them with personal information. PayPal is not responsible for the content or information practices of such third parties. PayPal is committed to adequately protecting your information regardless of where the data resides and to providing appropriate protection for your information where such data is transferred outside of the EEA. In order to facilitate the transactions between PayPal users, PayPal Services allows you limited access other users’ contact or delivery information. As a seller you may have access to the User ID, email address and other contact or delivery information of the buyer, and as a buyer you may have access to the User ID, email address and other contact information of the seller. You agree that, with respect to other users’ personally identifiable information that you obtain through the PayPal Services or through a PayPal-related communication or PayPal-facilitated transaction, you will only use this information for: (a) PayPal-related communications that are not unsolicited commercial messages, (b) ancillary actions in relation to the PayPal payments or the transactions for which PayPal has been used (e.g. insurance, delivery and fraud complaints), and (c) any other purpose that such user consents to after adequate disclosure of the purpose(s). PayPal does not tolerate spam. We strictly enforce our Anti-Spam Policy. To report PayPal-related spam to PayPal, please contact us. You can review the personal information you have provided us and make any desired changes to such information, or to the settings for your PayPal account, at any time by logging in to your account on the PayPal website, selecting My Account, then Profile and changing your preferences. You can also close your account through the PayPal website. If you close your PayPal account, we will mark your account in our database as “Closed”, but will keep your Account Information in our database. This is for instance necessary in order to deter fraud, by ensuring that persons who try to commit fraud will not be able to avoid detection simply by closing their account and opening a new account. However, if you close your account, your personally identifiable information will not be used by us for any further purposes, nor sold or shared with third parties, except as necessary to prevent fraud and assist law enforcement authorities, or as required by law. PayPal Here is PayPal POS Functionality within the PayPal Mobile App (as defined in our User Agreement) that enables a User to pay another User (typically a merchant) or anybody to make a direct card payment to that merchant, in each case for goods and services at a physical point of sale (for example, in store). Credit information also comes from information on applications to banks, building societies, credit card companies etc. and also from the conduct of those accounts. The information that you give us. Strategic business partners that have signed Non-Disclosure agreements. Examples include our investors, attorneys and security advisors. Service partners that provide services on our behalf. Examples could be Stripe or PayPal to process your payments or Twilio to send text messages. Law enforcement—when we are required to do so or to protect DanceStudio-Pro and its users. We are committed to keeping your e-mail address confidential. We do not sell, rent, or lease our customer lists to third parties unless compelled to do so by law. Furthermore, we do not store or save any credit card or banking information in our systems. All financial information, included credit card numbers and bank account numbers, is stored by the merchant processor in PCI compliant facilities. When you create an account on the DanceStudio-Pro App, we may ask for Personal Information such as your name, email, mailing address and other information you may provide with your account. You can edit certain information in your account by going to More > Settings in the DanceStudio-Pro App. If you’re a customer of one of our Subscribers, we collect information about you when you interact with their business through the DanceStudio-Pro Services. For example, if you initiate a transaction with the Subscriber through the Service, such as an appointment or purchase, we may collect information about you, such as your name, email, as well as any other information you provide in order to process the transaction. If you’re a Subscriber, we collect information about your business that is submitted to the DanceStudio-Pro Services under your account. When you sign up for our Software Service, we ask for your company name, address, phone number, email, and other information about your business, as well as names and email addresses of authorized individuals on your account. We also collect Personal Information about your customers that they provide to the DanceStudio-Pro Services when they initiate a transaction with you, such as an appointment or purchase. We may store information that your computer or mobile device provides to us in connection with your use of the DanceStudio-Pro Services, such as type of computer or mobile device, unique device identifier, IP Address, MAC address, device’s operating system and physical location (including geolocation, beacon based location, and GPS location). We may also store usage data such as the date and time the application on your device accesses our servers, and what information and files have been downloaded to the application based on your device number. We may deploy and read identifiers (generally, strings of code) that we have associated with a browser, and we may collect mobile identifiers such as Apple IDFAs or Google Android Ad IDs. We use this information for PUSH notifications and tracking who is accessing the DanceStudio-Pro system. To personalize your experience on the DanceStudio-Pro Services. For our business purposes, such as data analysis, audits, fraud monitoring and prevention, developing new products and services, enhancing, improving or modifying our products and services and identifying usage trends. To our strategic business partners and third-party service providers who provide services such as data analysis, payment processing services, order fulfillment, information technology and related infrastructure provision, customer service, email delivery, credit card processing, auditing and other similar services. To our Subscribers if you are an End User and are using our DanceStudio-Pro Services to interact with that Subscriber. Please contact the Subscriber you interact with directly for more information on that Subscriber’s privacy practices. California’s “Shine the Light” law, Civil Code section 1798.83, requires certain businesses to respond to requests from California customers asking about businesses’ practices related to disclosing personal information to third parties for the third parties’ direct marketing purposes. Alternatively, such businesses may have in place a policy not to disclose personal information of customers to third parties for the third parties’ direct marketing purposes if the customer has exercised an option to opt-out of such information-sharing. If you wish to opt-out of our sharing of your information with third parties for the third parties’ direct marketing purposes offline, please follow the instructions in the Your Choices section, immediately below. If you would like to access, review, correct, update, suppress, or remove Personal Information that has been previously provided by you, you may contact us by logging into your account and making the appropriate changes or by emailing our customer support at support@mail.dancestudiopro.ladesk.com. If you are under 18 years of age and a user of the DanceStudio-Pro Services, you may ask us to remove content or information that you have posted to the Service by submitting a request to support@mail.dancestudiopro.ladesk.com. Please note that your request does not ensure complete or comprehensive removal of the content or information. We and our third party service providers may collect Other Information in a variety of ways. We and/or our third party partners may employ various tracking technologies, such as cookies, web beacons and analytics software, that help us better manage content on the DanceStudio-Pro Services by informing us what content is effective. When you visit our website or otherwise interact with the DanceStudio-Pro Services we (or third party data we work with) may send one or more cookies to your computer or other devices. “Cookies” are alphanumeric identifiers stored on your computer through your web browser and are used by most websites to help personalize your web experience. Some cookies may facilitate additional site features for enhanced performance and functionality such as remembering preferences, analyzing usage for site optimization, providing custom content, and serving images or videos from third party websites. Some features on this site will not function if you do not allow cookies. We may link the information we store in cookies to any Personal Information you submit while on our site. Functional cookies, persistent and session type, store information to enable core site functionality, such as Account ID remembrance. Analytics cookies allow us to count page visits and traffic sources so we can measure and improve the performance of our site. We (or third party data we work with) may use Web Beacons alone or in conjunction with cookies to compile information about our DanceStudio-Pro Services, or Other Information we or they have collected. “Web Beacons” (also known as pixel tags) are tiny graphic objects that are embedded in a web page or email and are usually invisible to the user but allow checking that a user has viewed the page or email. Web Beacons may be used within the DanceStudio-Pro Services to track email open rates, web page visits or form submissions. In some cases, we tie the information gathered by Web Beacons to our Subscribers’ and End Users’ Personal Information. For example, we use clear gifs in our HTML-based emails to let us know which emails have been opened by recipients. This allows us to gauge the effectiveness of certain communications. We use Local Shared Objects, such as Flash cookies, AND/OR Local Storage, such as HTML5, to store content information and preferences. Third parties with whom we partner to provide certain features on our website or to display advertising based upon your web browsing activity also use Flash cookies or HTML5 to collect and store information. Various browsers may offer their own management tools for removing HTML5..
We use this information to track and aggregate Other Information to analyze trends, administer the site, track users’ movements around the DanceStudio-Pro Services and to gather demographic information about our user base in the aggregate. Our Website offers privately accessible reviews. Please keep in mind that if you directly disclose Personal Information through DanceStudio-Pro reviews, this information may be collected and used by others. To request removal of your Personal Information from a review, contact us at support@mail.dancestudiopro.ladesk.com. If another user posts your review on a public forum such as FaceBook, we will not be able to remove that review from the external site. If DanceStudio-Pro is involved in a merger, acquisition, or sale of all or a portion of its assets, you will be notified via email and/or a prominent notice within the software and/or on our Website of any change in ownership or uses of your Personal Information, as well as any choices you may have regarding your Personal Information. Please note that we are not responsible for the collection, usage and disclosure policies and practices (including the data security practices) of other organizations, such as Facebook, Apple, Google, Microsoft, RIM or any other app developer, app provider, social media platform provider, operating system provider, wireless service provider or device manufacturer, including any Personal Information you disclose to other organizations through or in connection with the DanceStudio-Pro Services. We will retain your Personal Information for as long as needed to provide the applicable DanceStudio-Pro Services you use, unless a longer retention period is required or permitted by law. The security of Personal Information is a high priority at DanceStudio-Pro. We maintain our DanceStudio-Pro Services and all associated data with technical, administrative and physical safeguards to protect against loss, unauthorized access, destruction, misuse, modification and improper disclosure. Unfortunately, no data transmission or storage system can be guaranteed to be 100% secure. If you have any questions about the security of your interaction with us (if, for example, you feel that the security of any account you might have with us has been compromised), you can contact us at support@mail.dancestudiopro.ladesk.com. 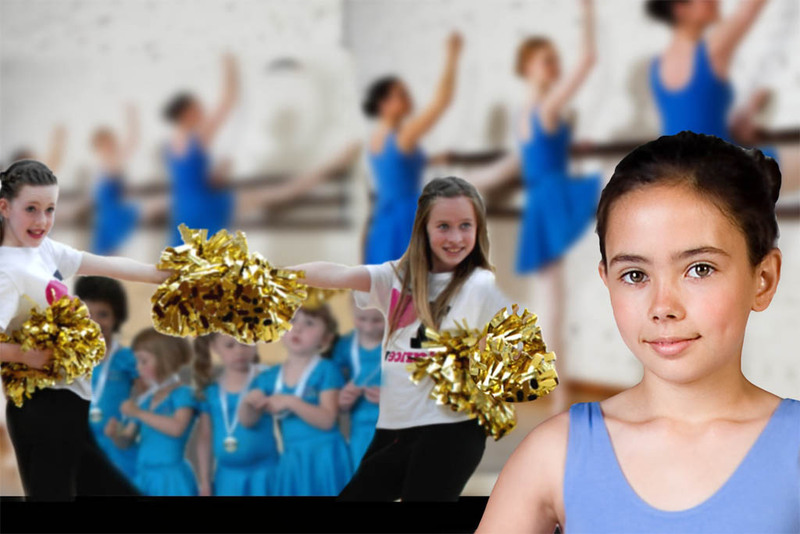 The DanceStudio-Pro Services are not directed or targeted at children under the age of thirteen (18), and we request that they do not provide Personal Information through the DanceStudio-Pro Services. The DanceStudio-Pro Services are controlled and operated by us from the United States, and is not intended to subject us to the laws or jurisdiction of any state, country or territory other than that of the United States. Your Personal Information may be stored and processed in any country where we have facilities or in which we engage service providers, and by using the DanceStudio-Pro Services you consent to the transfer of information to countries outside of your country of residence, including the United States, which may have different data protection rules than those of your country. We ask that you not send us, and you not disclose, any sensitive Personal Information (e.g. information related to racial or ethnic origin, political opinions, religion or other beliefs, biometrics or genetic characteristics, trade union membership or criminal background) on or through the DanceStudio-Pro Services or otherwise to us. DanceStudio-Pro participates in and has certified its compliance with the EU-U.S. Privacy Shield Framework and the Swiss-U.S. Privacy Shield Framework. We are committed to subjecting all personal data received from European Union (EU) member countries and Switzerland, respectively, in reliance on each Privacy Shield Framework, to the Framework’s applicable Principles. To learn more about the Privacy Shield Frameworks, and to view our certification, visit the U.S. Department of Commerce’s Privacy Shield List. DanceStudio-Pro is responsible for the processing of personal data it receives under each Privacy Shield Framework and subsequently transfers to a third party acting as an agent on its behalf. DanceStudio-Pro complies with the Privacy Shield Principles for all onward transfers of personal data from the EU and Switzerland, including the onward transfer liability provisions. With respect to personal data received or transferred pursuant to the Privacy Shield Frameworks, DanceStudio-Pro is subject to the regulatory enforcement powers of the U.S. Federal Trade Commission. In certain situations, we may be required to disclose personal data in response to lawful requests by public authorities, including to meet national security or law enforcement requirements.